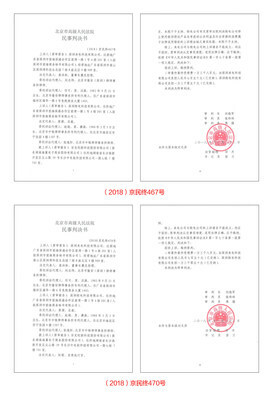 BEIJING, Dec. 7, 2018 /PRNewswire/ -- On November 22, the patent infringement suit filed by mobile phone power bank sharing service provider Shenzhen Laidian Technology Co., Ltd. (Laidian Technology) against Shenzhen Jiedian Technology Co. (Jiedian Technology) was finally determined in the favor of Laidan Technology, with the court upholding the original judgment after a year and a half of painstaking investigation and evidence collection. The court ordered the defendant to cease all infringement activities and pay 2 million yuan (approx, US$290,000) in compensation to the plaintiff. The defendant, Jiedian Technology, was ordered to stop using the 12-port Anker design products within 30 days from the effective date of the judgment. Jiedian Technology is a wholly owned affiliate of Nasdaq-listed Jumei International Holding Limited. Xinhua News Agency reported on the trial. 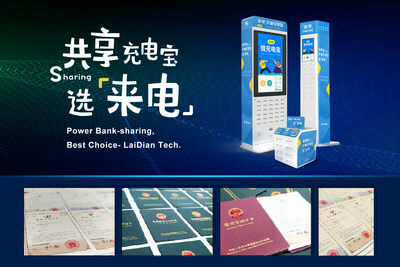 Laidian Technology, one of the first companies to establish a presence in the Chinese power bank-sharing market, has now become an industry leader. The company has made protection of its patents a cornerstone of its strategy since the day the firm opened for business. In February 2015, Laidian Technology was the first in the power bank sharing industry to file a patent application. As of December 3, 2018, the company had filed over 150 patents, of which 81 have been granted (5 for inventions, 41 for utility models and 35 for design). Laidian Technology has also received approval for 3 patent applications outside of its home market (1 in Germany and 2 in Japan). The company now has 44 million registered users in 302 Chinese cities. When commenting on the Chinese court ruling, Laidian Technology CMO Ren Mu said the company plans to continue the fight to make sure that intellectual property (IP) and patented products are taken seriously and that the relevant laws and regulations are once again respected across the industry through rights protection measures, as well as support industry stakeholders in co-creating a fair competition-based and orderly market, which, in turn, serves to assure the solid and healthy development of the industry. "With the success in the patent infringement lawsuit, we have protected our proprietary IP, adding to the value of our brand as well as to our competitive advantages," said Yuan Bingsong, founder and chief executive of Laidian Technology, in an earlier media interview. He also indicated that the company plans to continue strengthening its efforts in the IP field and further expand the product line into offline applications.